To many, the origin of the Bible can be summed-up as follows: "A mere translation of a translation of an interpretation of an oral tradition" - and therefore, a book with no credibility or connection to the original texts. Actually, the foregoing statement is a common misunderstanding of both Christians and non-christians alike. Translations such as the King James Version are derived from existing copies of ancient manuscripts such as the Hebrew Masoretic Text (Old Testament) and the Greek Textus Receptus (New Testament), and are not translations of texts translated from other interpretations. The primary differences between today's Bible translations are merely related to how translators interpret a word or sentence from the original language of the text source (Hebrew, Aramaic and Greek). Another challenge against the origin of the Bible is the reliability of the manuscripts from which today's Bibles are translated. Remarkably, there is widespread evidence for absolute reliability. There are more than 14,000 existing Old Testament manuscripts and fragments copied throughout the Middle East, Mediterranean and European regions that agree dramatically with each other. In addition, these texts agree with the Septuagint version of the Old Testament, which was translated from Hebrew to Greek some time during the 3rd century BC. The Dead Sea Scrolls, discovered in Israel in the 1940's and 50's, also provide phenomenal evidence for the reliability of the ancient transmission of the Jewish Scriptures (Old Testament) before the arrival of Jesus Christ. The Hebrew scribes who copied the Jewish Scriptures dedicated their lives to preserving the accuracy of the holy books. These scribes went to phenomenal lengths to insure manuscript reliability. They were highly trained and meticulously observed, counting every letter, word and paragraph against master scrolls. A single error would require the immediate destruction of the entire text. The manuscript evidence for the New Testament is also dramatic, with over 5,300 known copies and fragments in the original Greek, nearly 800 of which were copied before 1000 AD. Some manuscript texts date to the early second and third centuries, with the time between the original autographs and our earliest existing copies being a remarkably short 60 years. Interestingly, this manuscript evidence far surpasses the manuscript reliability of other ancient writings that we trust as authentic every day. Look at these comparisons: Julius Caesar's "The Gallic Wars" (10 manuscripts remain, with the earliest one dating to 1,000 years after the original autograph); Pliny the Younger's "History" (7 manuscripts; 750 years elapsed); Thucydides' "History" (8 manuscripts; 1,300 years elapsed); Herodotus' "History" (8 manuscripts; 1,300 years elapsed); Sophocles (193 manuscripts; 1,400 years); Euripides (9 manuscripts; 1,500 years); and Aristotle (49 manuscripts; 1,400 years). The origin of the Bible is God. It is a historical book that is backed by archeology, and a prophetic book that has lived up to all of its claims thus far. The Bible is God's letter to humanity collected into 66 books written by 40 divinely inspired writers over a period of over 1,600 years. The claim of divine inspiration may seem dramatic (or unrealistic to some), but a careful and honest study of the biblical scriptures will show them to be true. Powerfully, the Bible validates its divine authorship through fulfilled prophecies. An astonishing 668 prophecies have been fulfilled and none have ever been proven false (three are unconfirmed). God decided to use prophecy as His primary test of divine authorship, and an honest study of biblical prophecy will compellingly show the supernatural origin of the Bible. Skeptics must ask themselves, "Would the gambling industry even exist if people could really tell the future?" Again, no other holy book comes even close to the Bible in the amount of evidence supporting its credibility, authenticity and divine authorship. Who preserved the Bible manuscripts we have today? Are the biblical manuscripts we have today reliable? 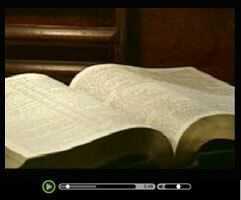 What is the history of Bible translation?